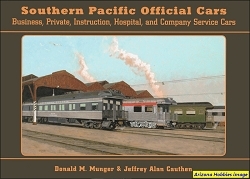 This 2018 reprint contains 16 more pages of text and photographs including Jawbone construction data and information on Southern Pacific narrow gauge locomotive #18, and additional information on the railroads herein. 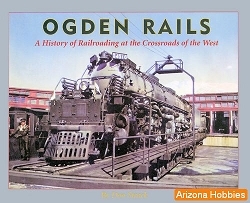 The story of California railroading in Owens Valley and Inyo County and the upper Mojave Desert. 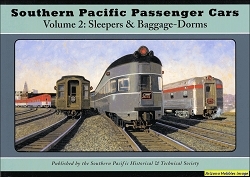 This book begins with the history of Southern Pacific's standard-gauge Owenyo Branch (Mojave to Owenyo), built in conjunction with the Los Angeles Aqueduct in 1908. The aqueduct was necessary to bring water to the growing Los Angeles urban area. This branch line was later known as the Lone Pine Branch and more affectionately as The Jawbone. 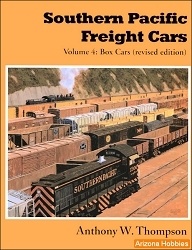 Also included are construction and operation material on the Trona Railway, the Naval Ordnance Test Station (NOTS) short line at China Lake, California and the beloved narrow gauge railroad between Laws and Keeler, the southern portion of the old Carson & Colorado Railroad. Contains many old B&W photographs with some Color, timetables and station plats. Bibliography and Index, pp. 120-128. Omni Publications, hardcover, 128 pages, 8.5 x 11 x .5 in., B&W plus 10 pages of Color photographs.